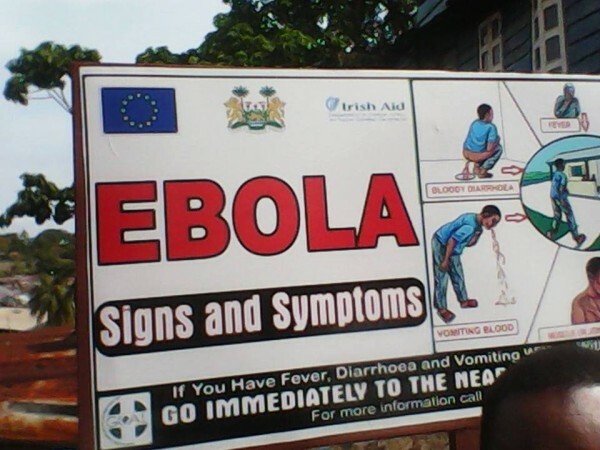 Ebola is in Sierra Leone, there is no denial. At this stage, response and surveillance are crucial. The Ebola hemorrhagic fever (EHF) is highly contagious and therefore the role of the public will be key towards tackling the disease. Public sensitization and awareness are the most effective tools towards tackling the spread of the disease. The current strain of the Ebola virus around West Africa belongs to a different clade (group) from those reported in previous countries. In West Africa (mostly Guinea, Liberia and Sierra Leone), fatality rate currently stands at around 70% but fatality from EHF can rise up to 90% among infected cases. This spells that most infected cases will die from the infection. However, survival rates are higher among cases that have been diagnosed earlier and given immediate medical care. This is not suggesting that there is a cure, THERE IS NO KNOWN CURE (but some vaccines are currently under trials). Seeking medical attention early is vital to reduce new infections and also in easing pains from symptoms of the disease. Symptoms of the disease are similar to symptoms exhibited by other common diseases in the region. These include, high fever, vomiting, diarrhea and internal or external bleeding at later stages (most of these symptoms are also common in patients with malaria, typhoid fever, cholera, hepatitis, etc.). The disease has an incubation period from 2- 25 days and during this period the disease can be spread to other family members and friends with relative ease. Patients can carry the disease for up to 7 weeks even after recovery or death (WHO). Given the social, demographic and economic conditions in Sierra Leone, this only means that everyone is at risk, as mode of transmission of the disease is mostly via contact with infected patients and animals. Therefore, it is important to seek prompt medical attention for any type of fever. Patients with contacts or travelling history in any of the region(s) should voluntarily report to surveillance units to be tested and cleared of the disease. Fruit bats are the host organism of the virus, but transmission is widely believed to be via human contact especially after infection. Therefore avoiding exposure to bats and animals with possible exposure to bats can be vital in stopping the spread of the disease (if indeed transmission was from those sources). Therefore, we should all discourage our relatives and friends to avoid “bush meats” of any shape or form, at least for the time being. So far in West Africa, the outbreak of the disease was first reported in Guinea, near areas bordering Sierra Leone and Liberia. In Guinea, 286 cases have been identified with laboratory confirmation for 163 cases. I86 deaths have been reported so far (>65% fatality). 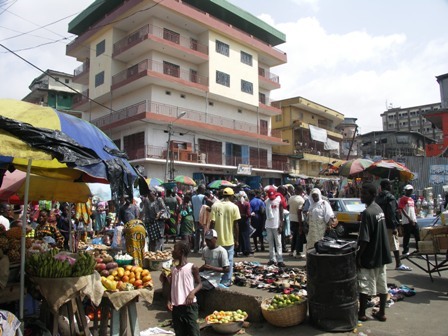 Liberia has reported 12 cases with 9 deaths (75% fatality). In Sierra Leone, according to the May 28th Situational report on EHF by the Ministry of Health, 23 suspected cases with 7 laboratory confirmed cases have been identified in Kailahun. There has so far been 2 deaths (also from Kailahun), it will be vital therefore that emergency response and quarantine measures be enforced in the two chiefdoms where cases have been identified. Due to the complex social structures of Sierra Leonean communities it will be prudent if responses also cover nearby chiefdoms. In addition, a single case has been reported in both Freetown and Kono. If the case in Freetown is confirmed and the patient in question has no travel history with Kailahun where the index case was identified, then mapping the spread of the disease will be a difficult one and possible infection route might be from animal sources. However, the role of the public in helping to map out possible contacts of patients is very important (but this must be done without stigmatization). Thus, the surveillance unit of the ministry of health must use every letter in the book of disease surveillance to solicit information from the public. The contagious nature of Ebola makes it extremely challenging for health officials. The disease is relatively new and therefore medical facilities are not well equipped to deal with the disease. It is advisable that any suspected or probable case especially in high risk areas (areas where cases have been identified) be immediately isolated and reported to the healthcare centers capable of dealing with EHF. Medical personnel should be extremely cautious as other countries have reported cases where medical personnel have been infected via contact with patients. Infection rates can also rise significantly when medical personnel are infected, therefore healthcare providers should be professional and careful in dealing with patients. Taking care of sick patients at home without medically approved protective gears will also put the caretaker and surrounding family members at risk. The role of the government in all this is to provide support to medical staff and increase awareness of the disease. 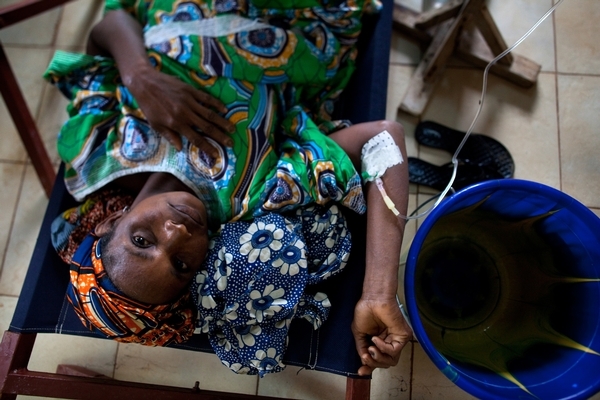 (Photo: Cholera patient in Freetown). Also authorities in all sectors, especially Parliamentarians, Councilors and other local authorities can play key roles in disseminating information. The role of external agencies will be containment of the spread of the disease but that can only be achieved if the public fully support the actions of these agencies. Issuing curfews to reduce human interactions will be wise although not necessary at this point. Curfews can create panic resulting into chaos that will be difficult to manage. Experts might argue that it is not yet time for that but it has proven to be highly effective in other countries, example – Uganda. A subtle but effective way for officials to reduce human contact/interaction might be the issuance of public holidays for at least a few days. This will have economic consequences, but this move is better than possible international travel ban on Sierra Leone (which is possible if there is a sudden surge in the number of cases). 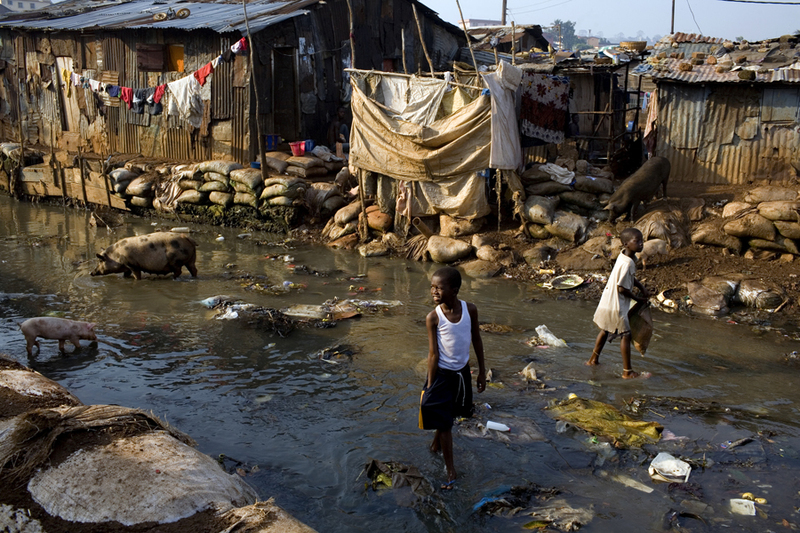 Methods use in Guinea should not be an example for Sierra Leone as there are still new reports of the disease in Guinea. Local NGO’s must prove their worth by embarking on public sensitization and support health officials where necessary. Disagreement between agencies or finger pointing will not help, but rather trigger international sanctions due to mismanagement of the disease. Ebola has no boundaries or associates, so we should collectively help in the fight to kick it out of Sierra Leone. We are a united nation despite our different philosophies, so let us use that Unity and push EHF out of Salone. Lamin Daddy Massaquoi is a PhD Candidate in Epidemiology, Hebei Medical University, China.